Atlas Copco's offering for the dewatering market is comprised of highly efficient wet and dry prime centrifugal pumps for construction, drainage and emergency applications, plus specialized models for wellpoint applications and pumping abrasive liquids and bentonite mud. Atlas Copco Construction Equipment North America has expanded its offering for the dewatering market with the launch of over 30 new heavy-duty, high-capacity pumps. This includes the addition of three high-flow models to its PAS range of centrifugal dry prime pumps. The new pumps are capable of accommodating flows of up to 6,164 gallons per minute. 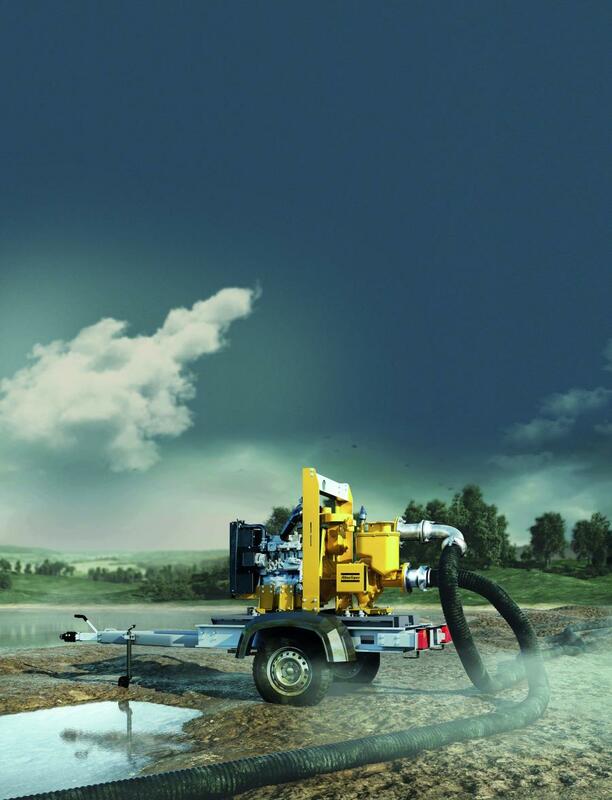 Atlas Copco's offering for the dewatering market is comprised of highly efficient wet and dry prime centrifugal pumps for construction, drainage and emergency applications, plus specialized models for wellpoint applications and pumping abrasive liquids and bentonite mud. A new piston positive displacement pump has been launched that is specially designed to run dry without damaging internal components. It is ideally suited for wellpoint applications where the volume and depth of water is low. To offer customers extra flexibility, all ranges can be supplied with a diesel engine or an electric motor as part of Atlas Copco's E-Pump concept. Furthermore, up to six modular configurations are possible per range. Dependent on the range, pumps can be supplied on a standard pump block, a basic or flexi-skid, or as part of a trailer, crate or fully containerized package. As well as its seven centrifugal and piston positive placement pump ranges, Atlas Copco offers portable submersible dewatering pumps as part of its WEDA+ range. The range recently underwent a design overhaul, resulting in the introduction of five innovative pumps that offer up to a 20 percent overall reduction in power consumption compared to previous models.